Crooner Brian Evans Sues Red Sox and … EVERYBODY! Brian Evans, whose music video “At Fenway” has now surpassed 11 million views on YouTube in just the past three months, has filed five federal lawsuits in the US District Court of Hawaii, where he now resides. Evans v. Governor of Massachusetts: In total, there are more than 35 defendants in connection with the death of his mother, Helen Marie Bousquet, following what was supposed to be a routine knee surgery. While knowing she had a condition known as Sleep Apnea, they put Bousquet in an unmonitored recovery room while providing her morphine. The lawsuits, in total, seek more than $150 million. In Evans v. Red Sox, Evans claims that Steward Health Care System, and The Boston Red Sox, who share the same PR firm, launched a trashing of his music video in Massachusetts the day “The Today Show” broadcast it nationally, loving the thing. Evans claims that the Red Sox and Steward Health Care System conspired with the PR firm to see to it that the video did not become popular in the state where all of Steward’s hospitals are. Co-owner Larry Lucchino is friends with the Steward Health Care System CEO, Ralph DeLaTorre. Last week, a federal judge in Hawaii issued a Preservation Order on DYN, the server who maintains backed up files, including all emails, in order to preserve any emails that pertain to Evans, his mother, or the music video project. Steward Health and the Red Sox have the same server company. Actor William Shatner has supported Evans efforts in seeking justice for his mother, even writing a letter to Hampton Selectmen for Evans as Evans seeks to honor her in Hampton Beach, NH. In Evans v. Cerberus, Evans has decided to bypass the quagmire of “Standard of Care” rules in Massachusetts, mostly written by doctors, and has sued The Holy Family Hospital, Steward Health Care System, Bousquet’s doctors, nurses, and Cerberus Capital Management, the private equity firm that also owns Freedom Group, who manufactured the gun used in the Newtown shootings. “They make the guns, then treat the wounds,” says Evans. He also has named Stryker, the manufacturer of the knee replacement Bousquet was having. One month after her surgery, Styker recalled knee replacements parts after the FDA considered them life threatening (see http://www.publichealthwatchdog.com/stryker-hit-with-class-i-recall-over-knee-surgery-device/). In Evans v. Leap Frog, Evans claims the organizations rating of the hospital was impossible, given they provided Holy Family, and all other Steward Health Care hospital, with an “A” rating despite never stepping foot into the hospital. Instead, Leap Frog provided the rating based on a questionnaire they mail the hospital. The hospital itself answers the questions, mails it back, and Leap Frog rates them based on the hospitals own answers to the printed questions. In Evans v. Massachusetts Nurses Association, Evans also names The Office of The Chief Medical Examiner, Methuen Police, City of Methuen, and others, claiming his mothers body was released prior to the issuance of a death certificate being issued. This is against both state and federal law. Evans complained to the Methuen Police, who refused to investigate the alleged crime. Finally, Evans has sued Governor Patrick, The Department of Public Health, Attorney General Martha Coakley, and others, claiming their connections and the contributions of “hundreds of thousands of dollars” to the Governor and AG’s election campaigns, including naming a Steward Health Care executive to head the Mass DPH, has them all too close to comfort in investigating the cases, and maintains they all did their best to stifle a real investigation by putting money over voters. Evans decided to file in Hawaii under Diversity Jurisdiction, also claiming that his claims against these Defendants would never get a fair trial in Massachusetts. Under the law, Evans can file his case in federal court as her only son, and if the claims exceed $75,000 in damages. Evans intends to donate any monies received from any of the lawsuits above to charities and causes his mother cared about. Multiple Oscar winning actor Tom Hanks introduces his mother’s website, Roseanne Barr tweeted about it on June 19th, Massachusetts state senator Bruce Tarr is working on new legislation as a direct result of what happened to his mother, the Joint Commission is investigating, numerous Governor’s have issued Proclamations, the American Sleep Apnea Association has made Bousquet the poster-woman for the cause at sleepapnea.org, John Kerry initiated an investigation with the Board of Medicine, and Mike Lawrence of the FBI is now investigating Steward Health Care System as a direct result of Mrs. Bousquet’s case. 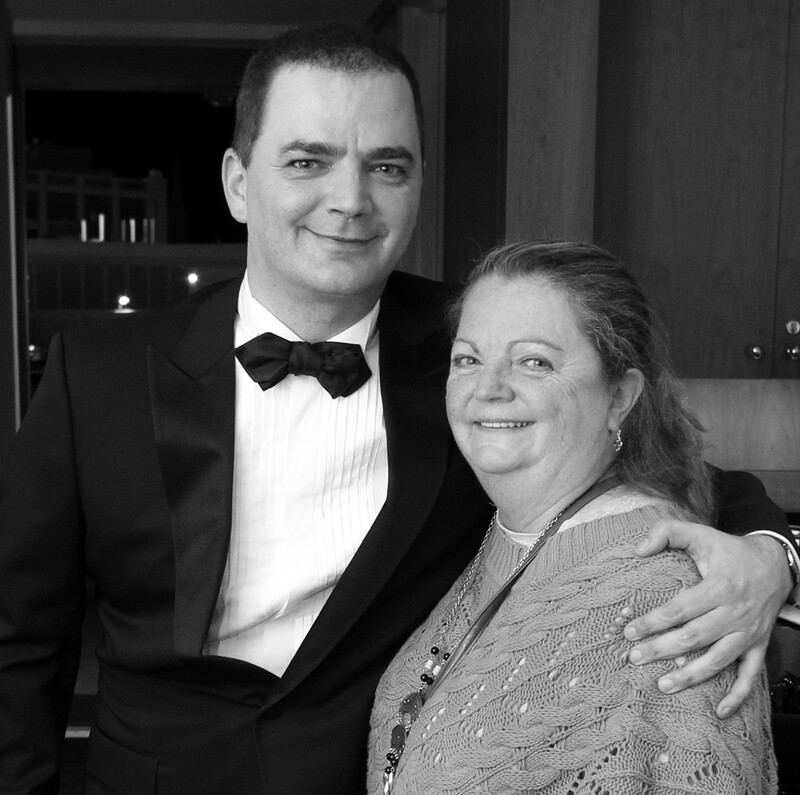 All internet domain names of the doctors who cared for his mother, including Steward Health Care CEO Ralph De La Torre, and even the new head of the DPH, now point to his mother’s website. The video is dedicated to his mother. A tree has been placed at Winnikinni Park’s entrance in her honor in Haverhill. Every Governor has been approached in the United States after Evans requested they all issue a Proclamation to bring attention to sleep apnea. Only one Governor has refused the request. Governor Deval Patrick of Massachusetts. 7 Responses to Crooner Brian Evans Sues Red Sox and … EVERYBODY! It’s good to see someone stand up, and it takes a serious love for your mother to go this far. If people did this more often, these problems wouldn’t happen in the first place. It’s not as if he’s out there making wild allegations when our own state senator’s are working on new legislation as a direct result of what happened to Ms. Bousquet. Something seriously went wrong for those lazy people in the state house to move their butts. Plus you have all these agencies, Patient-Safety, those organizations…this is more than a wild allegation and he’s connected these dots well. It’s sickening, actually. What’s sick is that I believe every word of it. The Red Sox fought to prevent Evans from issuing subpoena’s to obtain any and all emails that discussed him, his mother, and the video project in his case against them. Why fight it if there was nothing to hide? While Evans didn’t get the subpoena’s issued (yet), it is good to see the Hawaii federal judge didn’t cave the way they would have around here when he issued a Preservation Order. Part of me says wow, this guy is nuts. But then the other part of me says, maybe being a little nuts is what it takes to make change happen. I know that if this happened to my mother, I’d go nuts. He appears to be going nuts the right way, and all these politicians and organizations wouldn’t be backing him up because he’d loud. Something terrible happened. And he’s right, in Massachusetts he’d of never even got this far. It was the right decision, but he’s lived there forever anyway, right? Holy crap! I just saw THIS GUY on The Today Show! The Red Sox management totally WOULD do something like that, scumbags that they are. “Love the players, hate the owners.” Motto is correct. After last years rip-off season they give us hot dog discounts. That’s what we all are to them.